Swagtail is designed to be an absolute game-changer for you and your yoga business, no matter what stage you’re in! 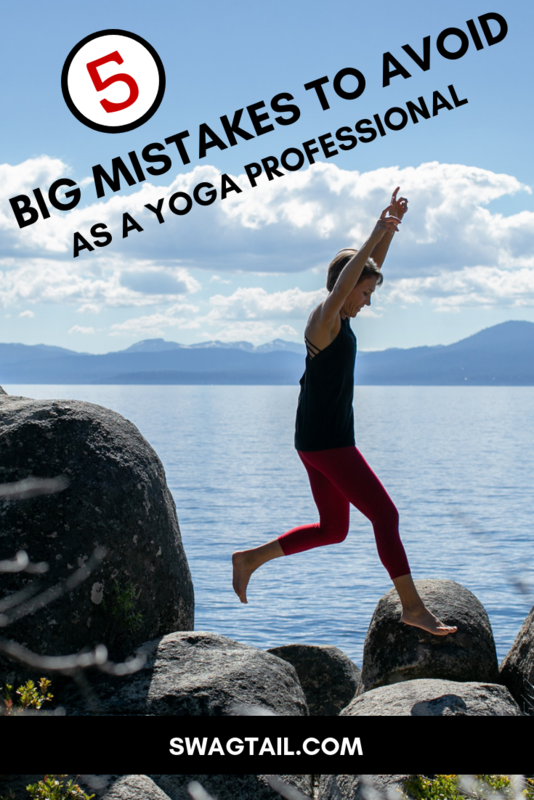 To help you do this, we’re going to send you our FREE GUIDE — 5 MISTAKES TO AVOID AS A YOGA PROFESSIONAL. Plus, you’ll be included in our weekly challenge to start fresh each Sunday.